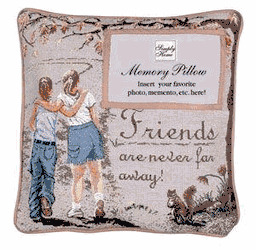 Inspirational Pillows compliment any home decor and make wonderful gifts. At LordsArt, we offer a unique variety of high quality inspirational pillows that are sure to lift the spirits. Whether you purchase for yourself, or as a gift to others, you will love these reminders of God's goodness and unfailing love. It makes a great way to share your faith and anyone who receives it will treasure it.